Kidderminster Harriers have signed midfielder Danny Jackman from League Two side Gillingham. The 30-year-old, who was named the Gills player of the season last year, has appeared 14 times for the promotion chasers in this current campaign. But Jackman, based in Worcestershire, has been allowed to leave Priestfield and move to Harriers after turning down several Football League clubs. He has made a total of 311 league appearances in an 11-year career. After coming through the youth ranks at Aston Villa, Jackman was loaned out to Cambridge and Stockport, who he joining on a more permanent basis in 2003. Following two seasons with the Hatters, he joined Gillingham for his first spell at the club before leaving for Northampton in 2007. 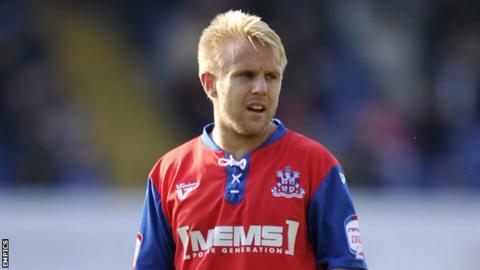 But he rejoined the Gills in 2009, making 89 appearances for the Kent club in his second spell before his move into non-league football.